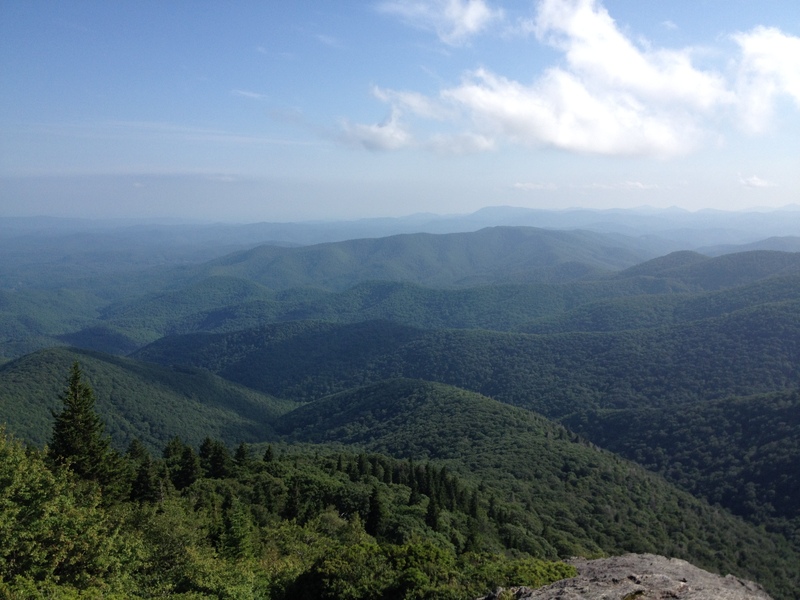 One of my most favorite places to visit is the mountains of North Carolina. My wife’s sister and her family live there. It is such a beautiful drive from Birmingham, Alabama up through Chattanooga and Knoxville, Tennessee into Clyde, North Carolina. When I make the drive, particularly when I cross into North Carolina and look at the mountains, I think to myself, who else could have made these? From Tom and Sandra’s house, there is little one can see except the surrounding mountains. For me, our visits there are always so calming that it makes me wonder if God’s peace and presence can be found easier in the more remote places of His Creation, the places where man has had his least influence. God’s creation is so beautiful and He is transcendent above all of it. God’s world doesn’t hide the Creator’s majesty, power and glory. Creation’s purpose is to point us to it. “The heavens declare the glory of God, and the sky above proclaims His handiwork” (Psalm 19:1). As you think about all the beautiful parts of creation you’ve seen—the mountains, the oceans and everything that is in between, remember that God made it all. Let the beauty of His creation help you to reflect on the beauty and greatness of its Creator, who, of all that He has made, loves you the most.